Former Apple CEO John Sculley is a long-time fan of Aaron Sorkin. So when the legendary screenwriter approached him for script research on "Steve Jobs," Sculley was very happy to help. Sorkin met with Sculley four times while making the film. The ex-CEO shared stories about Apple (AAPL) history, his relationship with Jobs and Jobs' relationships with others. "[Sorkin's] a brilliant screenwriter," Sculley said. "While [the dialogue] may not have been the exact words that were spoken, it represented the kind of dialogue that said 'yes, that's that person." That includes himself, played by Jeff Daniels in the film. Sculley was very impressed with the way Daniels absorbed aspects of his personality. "I couldn't believe how ... he actually captured how I was feeling going through some of the most intense scenes," Sculley said. 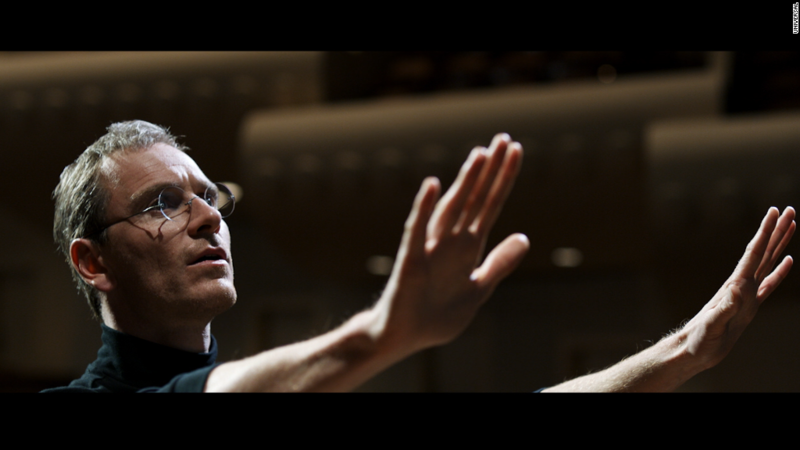 Sculley visited the set and spoke with both Daniels and Michael Fassbender, who plays Jobs. He shared favorite memories with them, including a late night in the Mac lab with both Jobs and Bill Gates. Sculley, who had recently transitioned from a top job at Pepsi, was shocked by their focus entirely on "the noble cause," as opposed to profit. Both Jobs and Gates were dedicated to the creation of the personal computer, and the possibilities it could create for workers all over the world. Sculley was given a private showing with his wife, and loved the film (despite the inevitable scene portraying the time Sculley pushed Jobs out of Apple). "The thing that gave me shivers because it was so true was what happened when they showed Flint auditorium where the Mac was introduced," Sculley recalled. "I remember thinking this was the first time I had seen about forty different television cameras, as crews had come from all over the world to cover the introduction of the Macintosh." Sculley said he believed his old friend and colleague would (mostly) like the film. "I think Steve would see a lot of things about this film that he would like: First of all, it's a perfectionist product. Everything about it: the acting, the directing, the screenplay," he said. "But, I also think Steve Jobs would be a little bit hurt because many people who never knew the young Steve Jobs could go away from this movie and think, 'well I know Steve Jobs.' Well guess what? You don't. Because that is not the complete Steve Jobs."